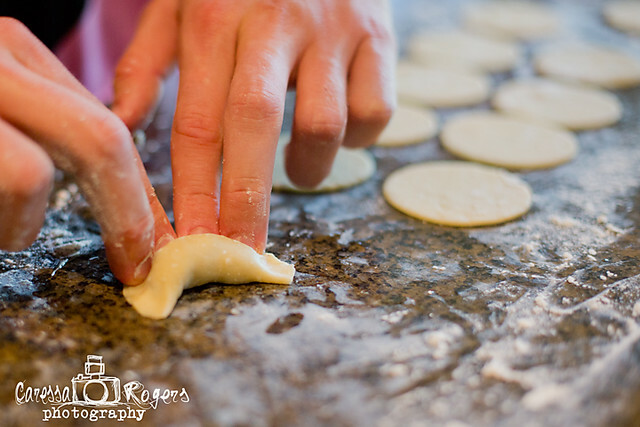 Caressa Rogers Photography: The Origin of My Love for Food! 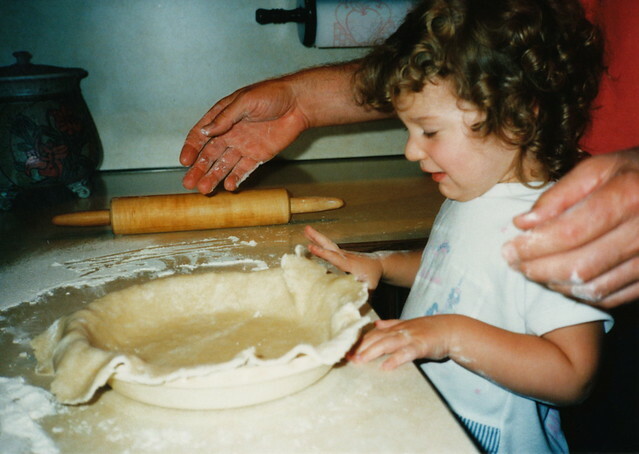 Spending time in the kitchen is a big part of my family and our memories... Its something we all love to do. Often I get asked where did you learn to cook and find your love for food. I remember as a little girl, picking berries with my daddy and returning home with berry stained hands and mouth. We would get to work baking pies. Memories like this are something I held onto after my daddy died. As I grew and kept cooking it gave me a sense of being close to him and those memories. 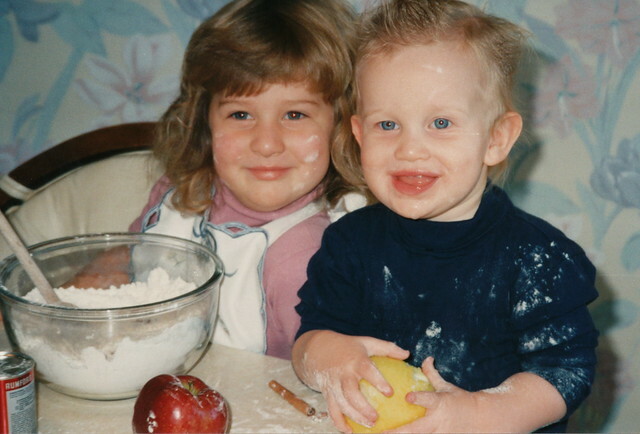 My mom was supportive of my brother, Adam, and my creative endeavors in the kitchen... no matter how big a mess we made! Its something that has shaped who my brother and I are today and the passion for food we both have. 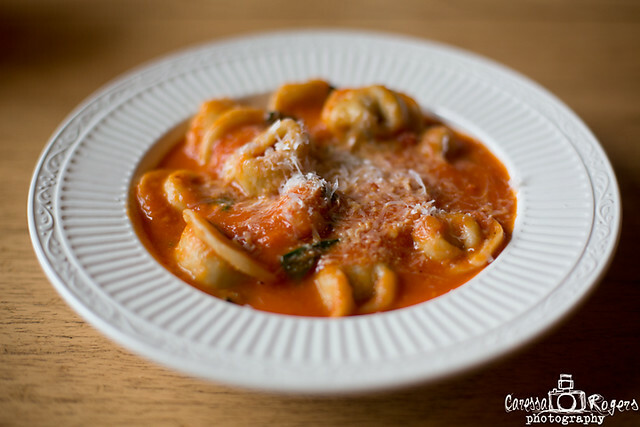 This past weekend Adam and I got together to make homemade Tortellini! Adam in the past year has become a master at pasta and pizza. Much like I have spent the past several years, reading and practicing everything I could about photography, he has done the same with Italian cooking. It is impressive the dishes he turns out. Here is a glimpse into the process! 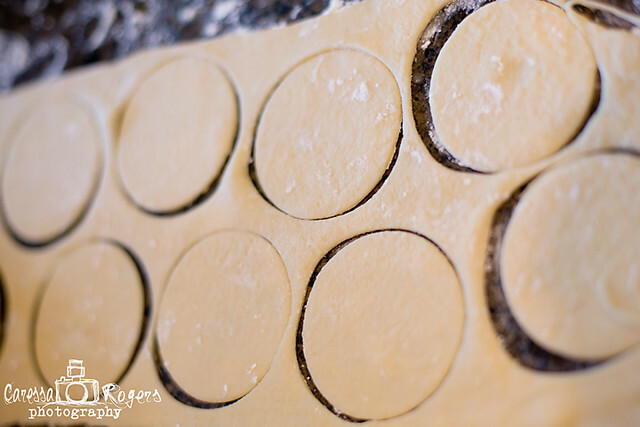 Adam has a pasta press that he rolled his fresh dough into sheets and then cut the in circles. Meanwhile I made a portabello mushroom filling for the Tortellini. 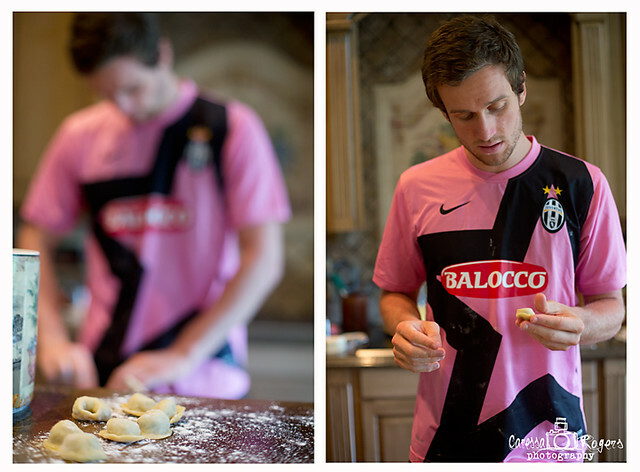 He then stuffed and shaped them into the cute little tortellinis. The best part of his homemade pasta is the amazing rich and flavorful tomato sauce he mades from scratch. This batch was made with tomatoes and basil fresh from the garden. I might be partial, but Adam's pasta dishes are better than any restaurants I have had. This one was the same. Melt in your mouth.